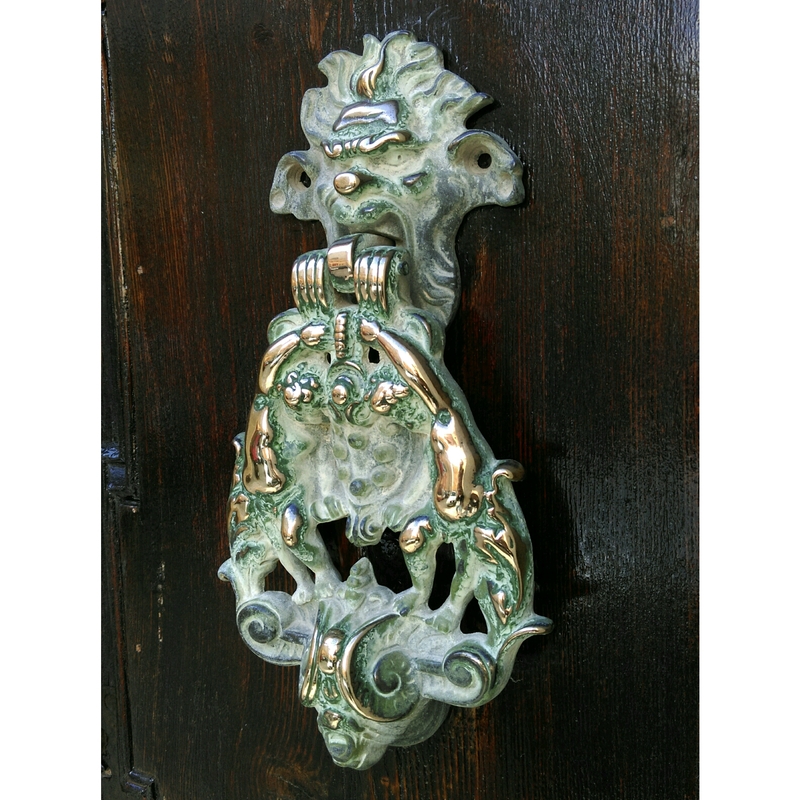 I want a doorknocker like that! 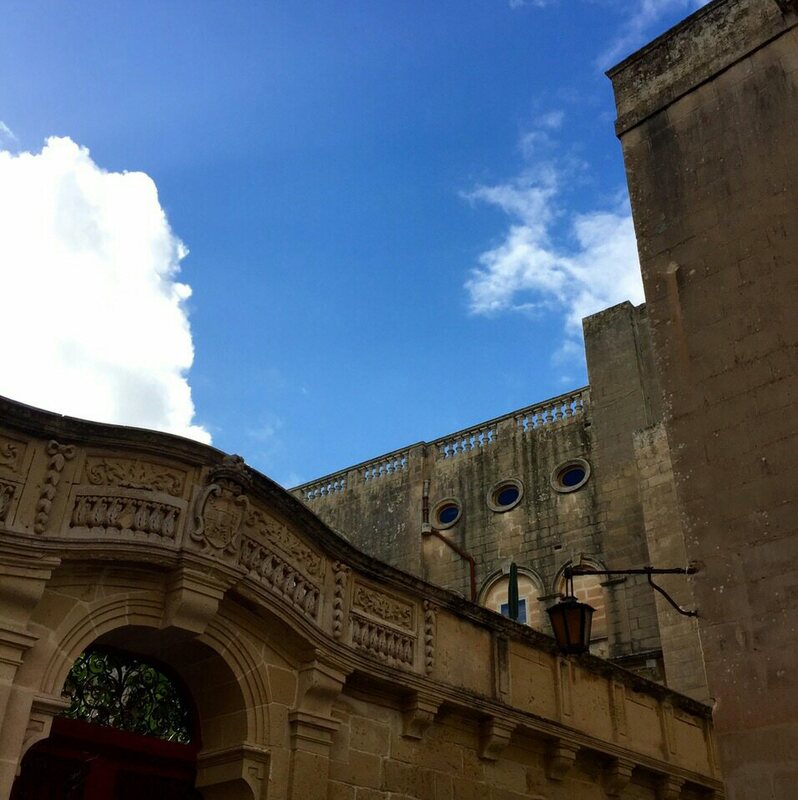 One of the places I’d been longing to go to (again – we visited it 2 years ago) was Mdina, the silent city, because we skipped one important part back then: the allegedly best cakes in the world! 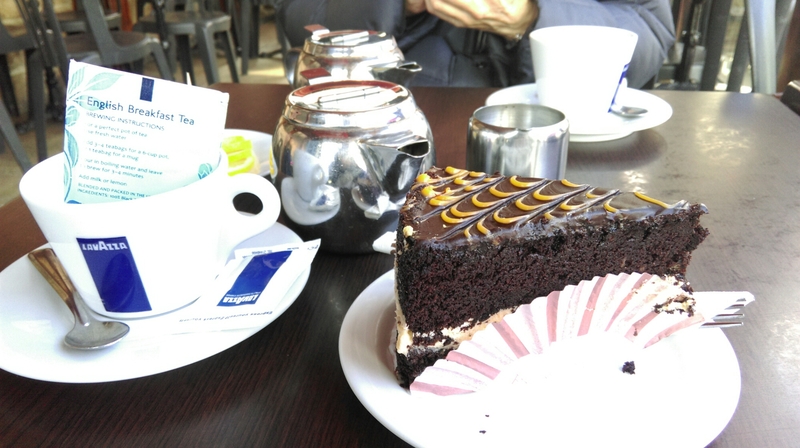 Ever since a friend told me about Fontanella Tea Room, I’d known that Mdina was a must-see-again. And it was totally worth it. While I’m not sure about the in-the-world thing, it’s safe to say the orange chocolate cake I had was heavenly. It’s one for real chocolate lovers though – my mum found it too intense. But only talking about the cake wouldn’t do the city justice. 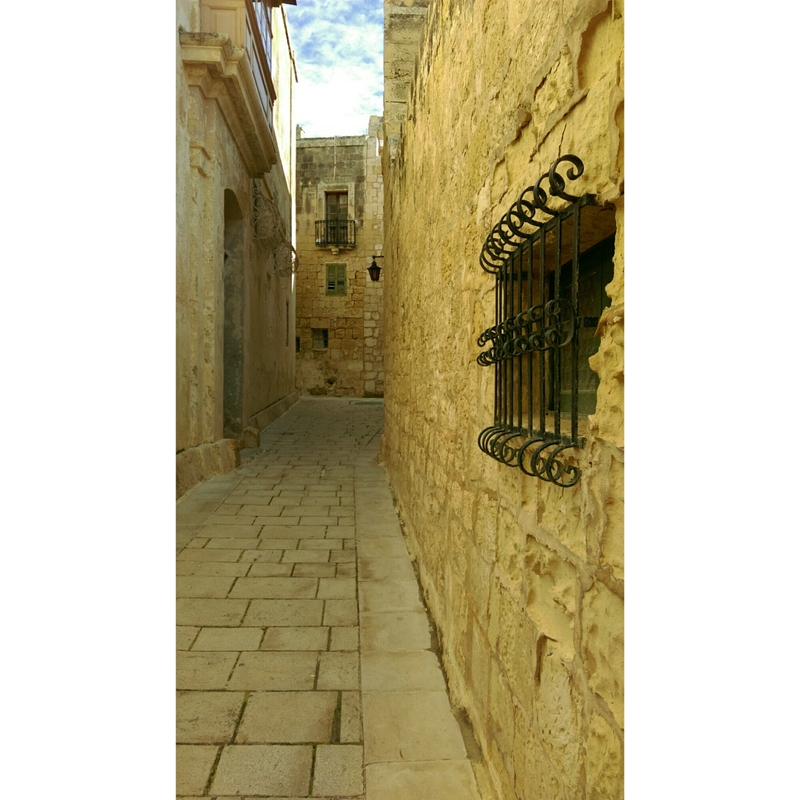 When you walk through the narrow streets of Mdina, you feel a bit like you’ve just travelled back in time a few centuries. And then there’s the view! 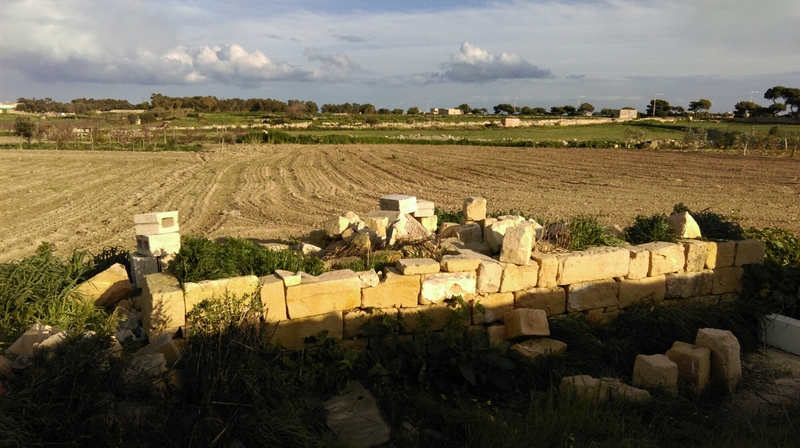 From the back wall of the city, Malta’s green countryside outstreches before your eyes. 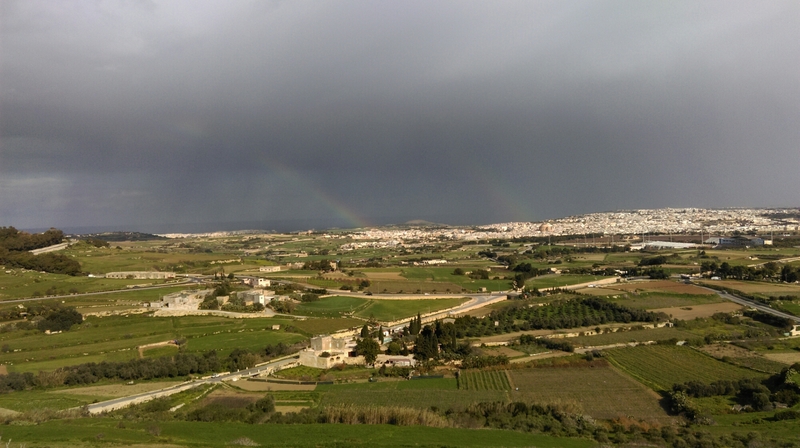 In the winter months, when the rain causes an outbreak of lush greenery and beautiful flowers everywhere, Malta is spectacular. Looks like I found Eden! Can you spot the rainbow? After that, we walked through the much busier streets of Rabat until we basically stumbled upon the Parish Church of St. Paul. Underneath, there’s St. Paul’s Grotto, catacombs (“a labyrinth of Punic, Roman and Christian Hypogea” as it says on a flyer) and World War II shelters, which you can all see for only 5€ – or 3,50€ if you look like you’re under 18. Let me warn you though: the underground part is not for claustrophobics. For those there’s a pretty large art collection to see, though, so nobody will be bored (except for children – if you have children, go to the cake place). After that, the 202/203 bus route led us back to the crafts village where loads of shops with attached workshops sell beautiful hand made jewellery, pottery, glassware and more. We were a bit late so couldn’t go through all the shops, but what we saw was just enough to make us consider coming back another day. Exploring Malta by following different bus routes is a great way to make the most out of your days here in my opinion. Originally my well-wrought plan included the Mosta dome as well, but after all the walking we were happy to have a window seat in the bus which brought us straight back to my apartment in the evening. I never remember my dreams, but I’m sure they included chocolate cakes tonight! Let me know about your “best cakes in the world”-place! 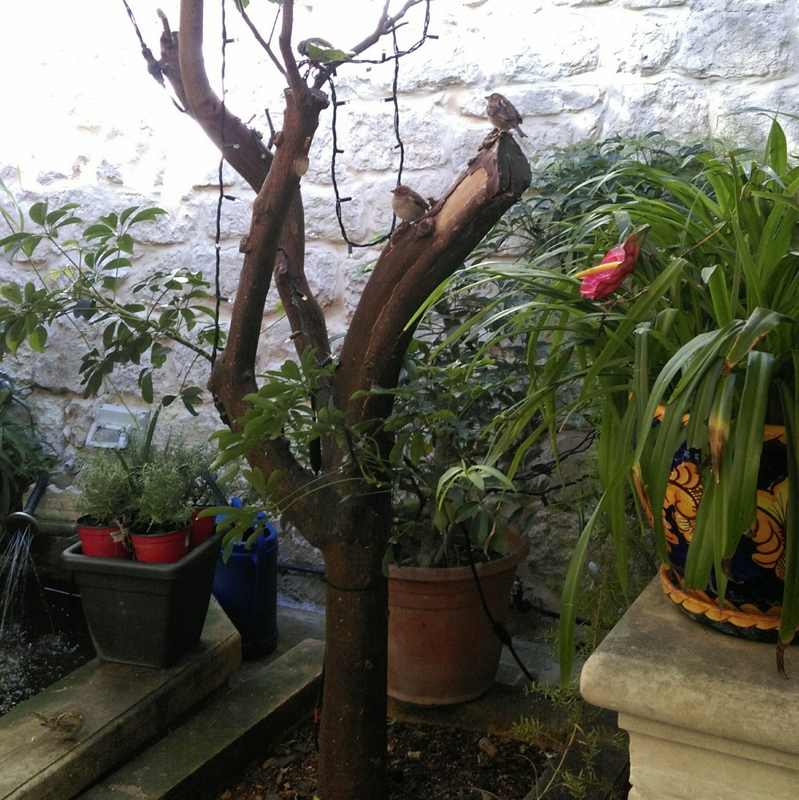 Posted on December 30, 2014 December 30, 2014 by Kerstin	This entry was posted in Discovering Malta and tagged ancient city, art museum, catacombs, chocolate, chocolate cake, chocolate lover, church, crafts village, expat, expat life, expat lifestyle, grotto, Malta, Mdina, medieval, museum, nature, photography, shopping, sights, sightseeing, St. Paul's Grotto, traveling, world war 2 shelters. Bookmark the permalink. Ahh their mint chocolate cake is definitely the best cake I’ve ever eaten but I never try anything else when I’m there, so could be that some other bits aren’t amazing.. I’ve a serious sweet tooth though so the chocolate orange is next on my list. I absolutely adore Mdina, but we’ve never gone to the catacombs, always mean to so must do this soon. I love the idea of following around different bus routes… thats my next day off planned! Meine Lieblingstorte ist die von der Bäckerei Schwarz, die ich dir meistens zu deinem Geburtstag besorge! I’m like your mom, l thought the chocolate cake was too too much 🙂 . 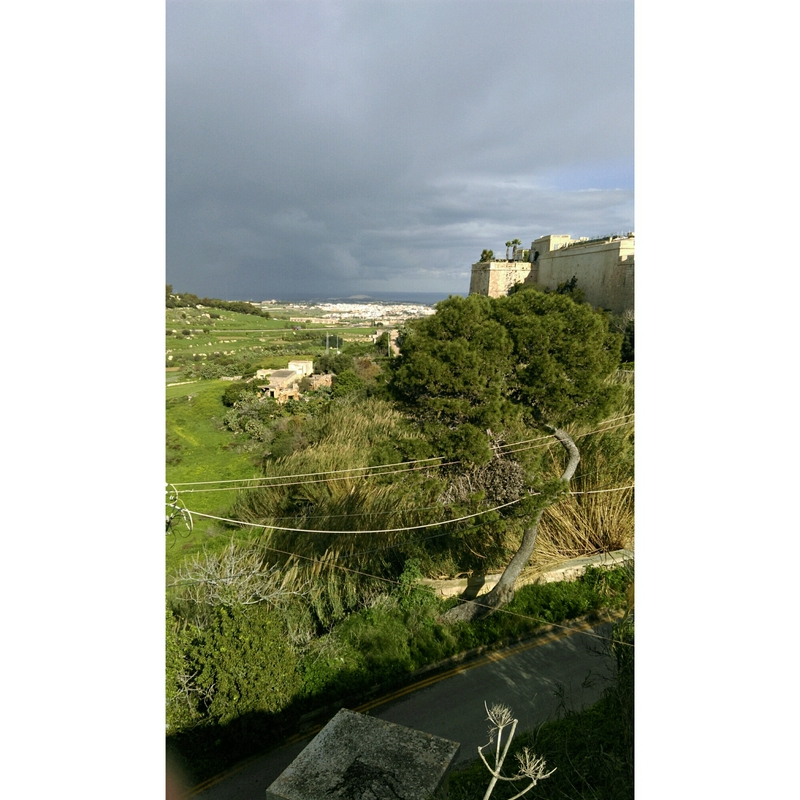 Mdina was a favorite place for us to head to. I survived for a while in the catacombs, but eventually, it got to be too much and my husband finished it by himself lol…great images!